It’s been a while since last update. We have been working a lot on the 3D Bases project, but also have news about Forgotten Halls, so here we are. Let’s start with some announcement that will make you rejoice. We are giving you a glimpse of the 2 boxes that will be revealed on our next KS. Yes, you will have both available, right from the start. Isn’t it great ? In our Base Set “Beyond the Door” you will be able to create corridors and rooms with our fully modular and Dynamic Walls, which can be used to build both indoor settings and outdoor buildings (while keeping full playability on the inside). And of course, thanks to our Dynamic Floors, you will be able to build from the start of the Kickstarter huge dungeons with sewers and canals. With the Expansion Set “Eerie Silence” you will move further, on the upper floors. You will find inside this box new Dynamic Walls, and new Double Face floors, Stairs, and balustrades to create parapets or bridges, all the while keeping the same indoor/outdoor potentialities and playability. 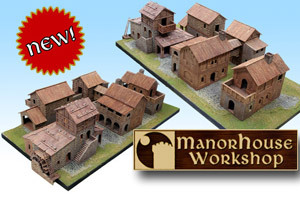 With the two boxes togethers, you will be able to let your imagination run wild: underground places, corridors, rooms, upper and lower floors, platforms and bridges, towers, fortified walls, ancient mansions and castles. Amazing, and this is just the beginning. Just imagine all you will be able to obtain with the passing days on the Kickstarter. But that will be just your imagination, because we can’t reveal you everything, we would spoil the surprise. And there are great, amazing surprises waiting. All those informations will be revealed later on on the upcoming weeks. Stay tuned on our blog for more info! Until next, Lorenzo and David. After last udpate on the Walls (which still show only part of all their full potential), it’s time for another article, this time about our floors. Let’s start with a small video, which speaks about another innovative idea of MHW : the Floor Inserts. As you see, our floors have a main structure, in which you can add our “Floor Inserts” to create a lot of different floors and patterns. Each floor is 10x10cm, and has some Floors Inserts already included. Here, it is the “Stone Floor inserts”. If you take those out, you have already another floor ready: the Sewers (because we painted them that way, but they can be empty canals, painted with lava, or anything you wish). This is already a concept of “2 Floors in 1” : with every Floor you’ll buy, you get 2. But as you see, the inserts can be put back in a different pattern, to create anything you wish, so it’s way more than that. Do you need 4 straight sewer floors, 2 curve, 1 T-section, and 1 cross-section ? You don’t need to buy 8 NEW sewer floors. You have already those floors with FH, you just need to take out the inserts and compose them in the way you wish! As you see in our video, it gets even better with a simple other “Floor Insert”: the Grates. Just swap the stone inserts with the grate inserts, and you can change the floors very easily and in a lot of ways! Does it stop here ? Of course not. This is just part of what you will be able to do, and the innovative ideas, we have developed. The ease of taking out the inserts and locking them back in place is amazing, and the possibilities endless. Imagine what you would be able to do with some more inserts than just those 2! Lastly, all our floors and inserts are built in such a way as to have “2,5cm” tiles/patterns, to help with boardgame, RPG and skirmish movements. At Manorhouse Workshop, our motto is Quality, Affordability, and Modularity. Our Walls and Floors are just another example of us working in this direction. Update #02 – Hard Plastic – The innovative modular walls of Forgotten Halls. So you’ve seen a (very small, we assure you) sneak peek of Forgotten Halls, with our last video. Let’s start the with the later. Forgotten Halls will be presented on the Kickstarter platform at the end of 2016, once all 3D bases pledges will have been sent to all our backers. You understood right, there are just some few months to wait! Let’s speak now about how Forgotten Hall works. There is a TON of hidden gems in our product, and most are not yet seen. As you see, all of our pillars have round inserts where to connect our dynamic walls (all concepts created by MHW), where other inserts (here you see our columns but torches and much more will be seen) can be added. From there on, it’s just a question of “flooring up” if you want to make higher walls … be it because you want them higher, or because you want to make a building with multiple floors. These higher floors will be reachable with an innovative stair system. Now, again, we’re barely scrapping the surface of what can be done with our walls … Just to give you an example, here is what can be done, with yet another of our ideas, the Wall Inserts, yet another innovative idea of MHW. Wall Inserts are walls pieces that insert themselves into existing walls, allowing you to create completely different (and modular) walls with a simple gesture, without having to change and detach the previous existing walls which build up your whole structure. 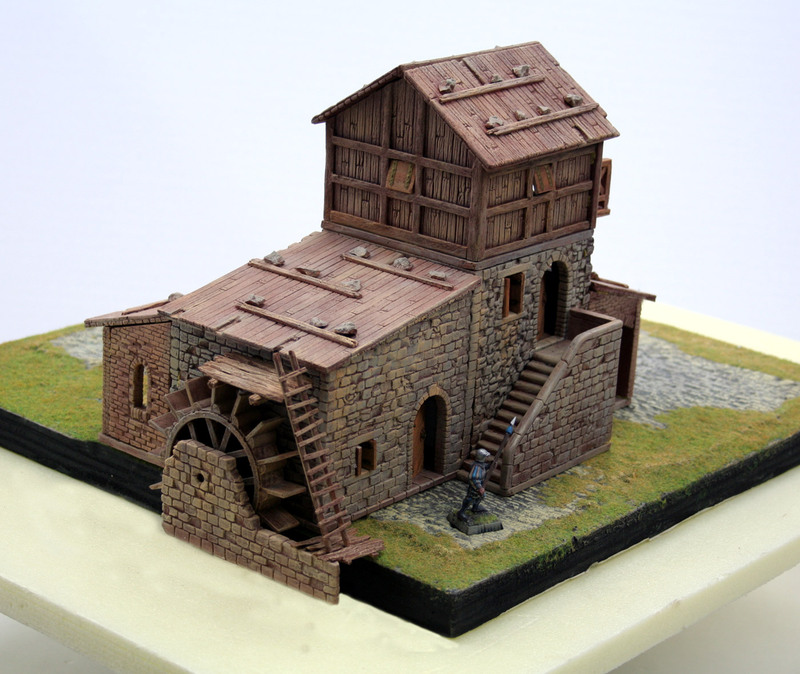 – It is very good for your wallet: if you have 30 walls with arches, and you want also plains walls, thicker, you don’t need to buy some other 30 more walls. Just buy some wall inserts (only on FH), and you’re good to go! – plug and play, very speedily: if you have built a big dungeon or castle interior, but want to change some of the walls, you can do it very quickly without have to tear down / detach most of your walls and pillars. Just add a wall insert and you’re done! Our video shows only the 2 different wall inserts, with amazing results. Imagine what you could do with way more : the possibilities are endless … and they will be. Update #1 – Hard Plastic – From 3D Bases to Forgotten Halls! Now, some months later, with the 3D Bases production nearly over and the first deliveries already on their way, we are presenting something more than drawings (or 3D computer grafic): you will see the REAL pieces of Forgotten Halls. 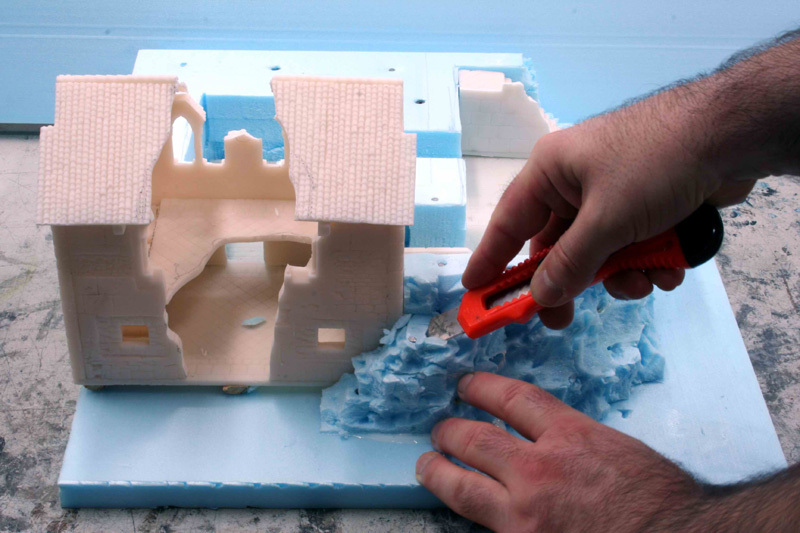 Creating the real pieces and checking them first hand is a basic rule from any modeler, to check that everything works and correct/improve the concept, which allows to give a customer a final product which works not only in theory, but in practice (an approach used in all MHW’s projects, from his buildings to 3D Bases, and also the MUP). What you will see in the following video is just the tip of the iceberg of our project. As you see, on our 3D Base Abbey base, the secret passage under the Altar did HINT at something more. This “something more” is Forgotten Halls. Forgotten Halls is THE most advanced modular construction system existing, and will be made of hard plastic. We always had in mind a world where 3D Bases could merge and complete a modular interior & exterior building system, with the quality and attention to details for which MHW is known around the world. 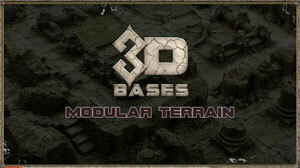 The 3D Bases project is in its infancy, and will grow tenfold. Forgotten Halls will be following the same path, like brother and sister. A long series of articles (complete with pictures and videos) will show you its true potential and its unique and original technical solutions.